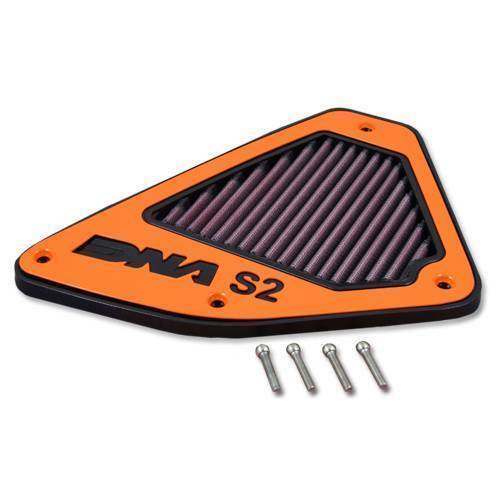 This S2 Air Box Filter Cover features DNA's advanced FCd(Full Contour design). Installation info are included with this new DNA Stage 2. A specially made Laser cut supporting frame is included with the DNA filter. 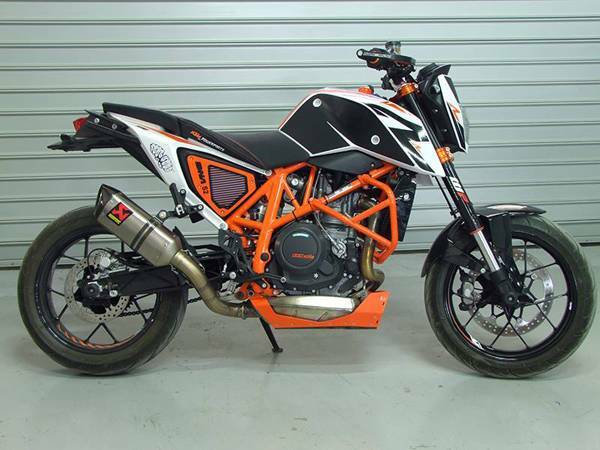 The flow of this new DNA Stage 2 Air Box Filter Cover (P-KT6SM13-S2) combined with the DNA Stage 1 air filter (P-KT6SM13-01) is very high, 122.36% more than the KTM stock application! 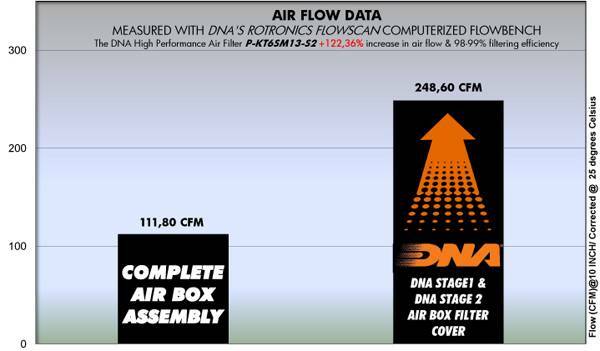 DNA S1 & S2 Fcd air filter flow: 248.60 CFM (Cubic feet per minute) @10"H2O corrected @ 25degrees Celsius. KTM stock paper filter: 111.80 CFM (Cubic feet per minute) @10"H2O corrected @ 25degrees Celsius. 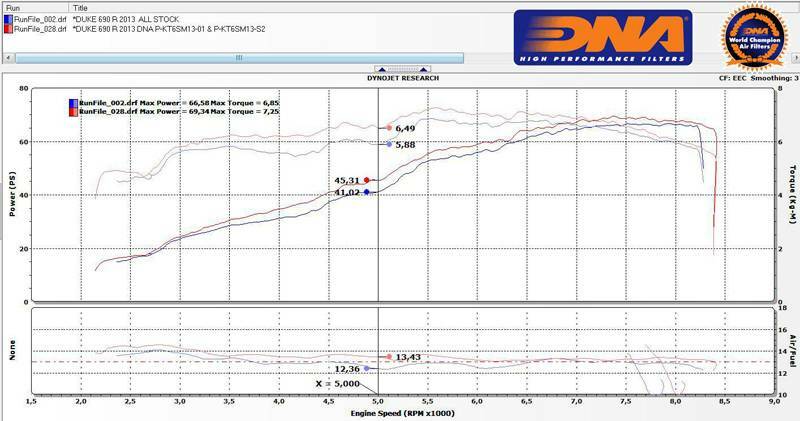 This DNA filter is designed as a High flow Air filter for:'Road & Race use'. This Stage 2 application is developed for race & track use and in some countries it may not be legal to use it on the road.